The SPA’s Regional Awards are back for their second year. 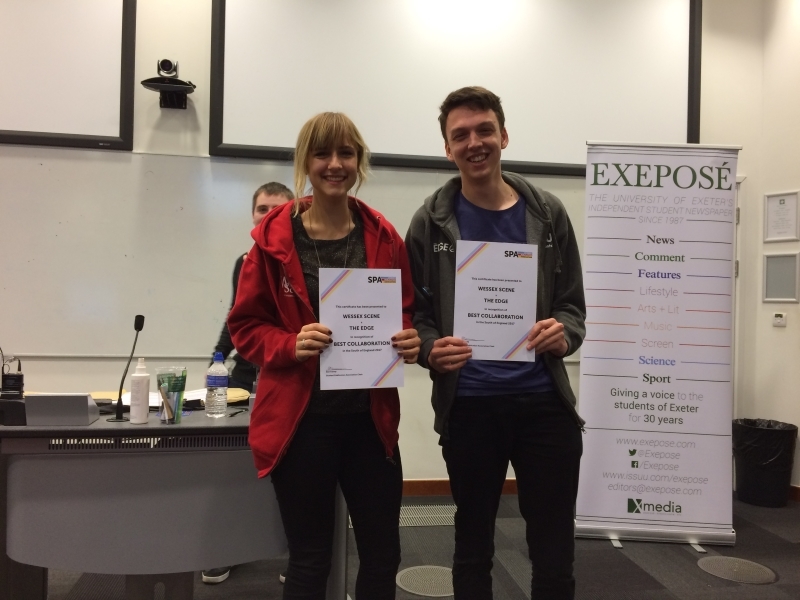 The Regional Awards recognise excellence in student journalism at a regional level, offering opportunities for those who don’t get the recognition at SPANC. Awards will be presented at the upcoming SPA Regional Conferences (SPARCs). More details on SPARCs will come shortly. The Awards are open to all work produced for our member publications between 10 October 2017 and 30 September 2018. The closing date for entries is 23:59 on Thursday 25 October. More details about the categories and how to enter are below. Best Publication: This award is given to the best overall student publication in the region, taking into account quality of content and relevance to their community. Submission details: Two A4 pages of supporting evidence in any format. Best Journalist: This award is given for consistently exceptional reporting or other writing from an individual. It takes into account the range of stories, the quality of the work and impact on audience. This can be in any discipline, beyond just news or sport. Submission details: Three pieces, with a supporting statement of 300 words. Best Impact: This award is given for a story which displays good reach and impact. Particular emphasis is placed on how that story or stories changed policy within the University, shifted debate, or made an impact on a national or international stage. Best Development: This award recognises the most ambitious and daring of publications. It takes into account the past two years, considering the change in quality, in writing or a particularly ambitious project such as a new website or financial sustainability. Each region also has its own special award, as chosen by its Regional Officer. This award will recognise outstanding journalism of any genre that has been written in the Welsh language. Credit will be given to pieces which focus on student or university issues, or issues that have cultural significance surrounding the Welsh language within the student sphere. Submission details: Two pieces, with a supporting statement of 300 words. This award will recognise the best of Scottish investigative journalism; bringing to light a struggle experienced by a community, and providing a possible solution or call to action which will revolutionise the lives of those affected. Submission details: One piece, with a supporting statement of 300 words. This award is given to the piece that displays a good knowledge of a current event or news story with a humorous angle. Emphasis should be placed on national or international news for the largest audience. This award recognises the best collaborative effort with another branch of student media, society or other organisation to produce either a campaign or other original content. It can be on any topic, but must show that it goes above and beyond what a publication could achieve by itself. This award is given to an article that has focused on the local community outside of the University. This could be a scoop based in local issues, or the localisation of a story of national significence. This award rewards those who have made excellent reporting on an event, or series of events. Merit will be given based on the effort put in to get first hand, personal coverage of the event, and the holistic nature of the reports. This award rewards the use of multimedia to enhance the telling of a particular story. Entries must be able to demonstrate that their use of multimedia either told an additional part of the story, or opened it up to a larger audience, than would be possible in a traditional publication form. Submission details: Two A4 pages of supporting evidence in any format, showing coverage of only one story/event. This award recognises a journalist’s commitment to covering issues that specifically impact students and citizens in the North of England. This can be original stories or finding a Northern angle on a national news story. Submission details: Two pieces and a supporting statement of 300 words. The deadline for entries is 23:59 on Thursday 25 October. No entries will be accepted after this time. All work entered must have been published or produced between 10 October 2017 and 30 September 2018 unless otherwise stated. Please make the date of publishing clear on your entries. All work entered must have been published in some form by a student publication that is currently a member of the Student Publication Association. All material will be judged as recieved. The judges shall comprise members of the Executive Committee and Trustee Board, except where not appropriate. Their decision is final.